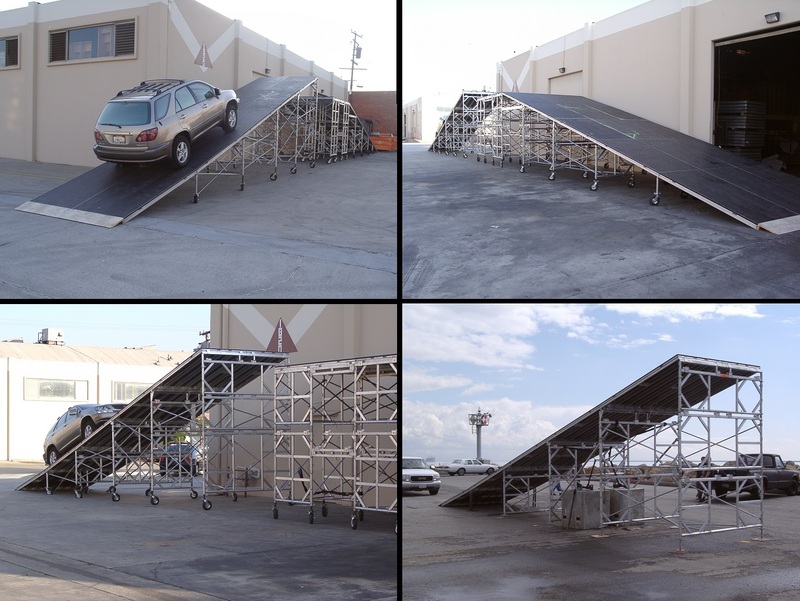 Stage Strength Test is no problem for Stage CMDR, Inc.
To give you an idea, just 1 standard 4×8 stage deck can support over 4600lbs! 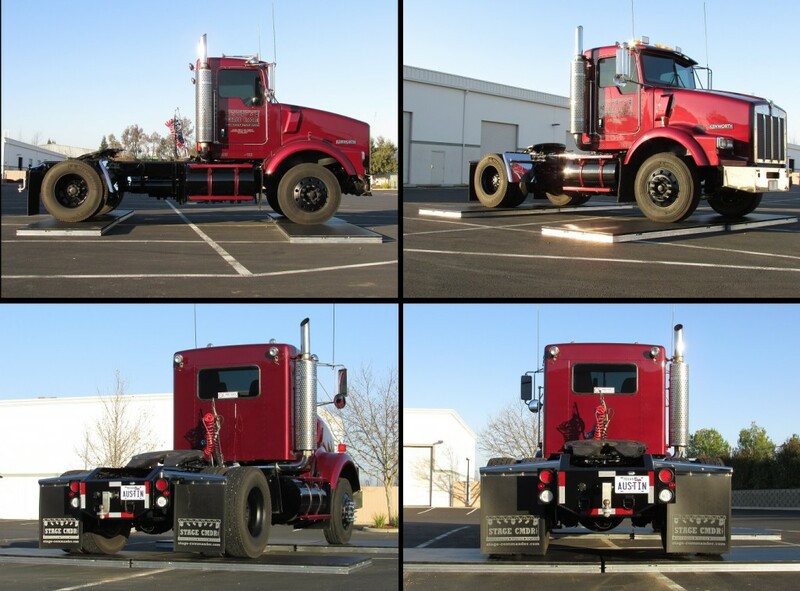 Putting a semi truck on a stage deck will prove its durability and strength while under pressure. If the stage deck can support a semi truck, it will support anything. There are only 4 staging manufactured products in the country that can support this kind of weight and Stage CMDR proudly is one of them! 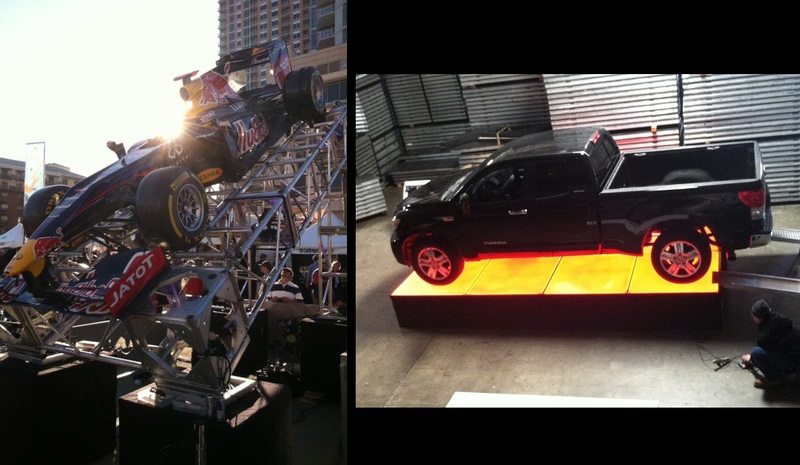 The pictures below show how other manufactured stage decks cannot support the weight of a fork lift. Keep in mind a fork lift weighs around 8500+ pounds and a semi truck weighs approximately double that. 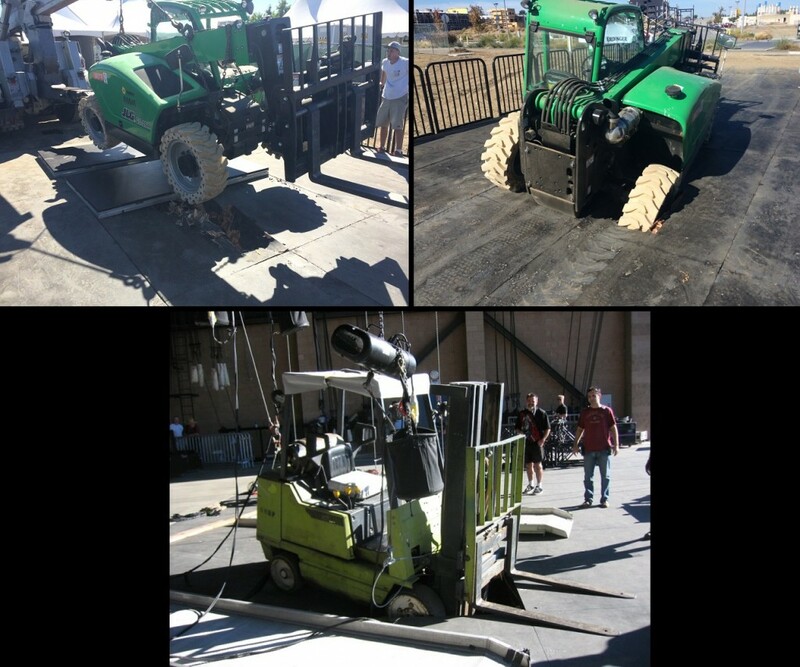 Notice that Stage CMDR decks were used to pull out the fork lift that fell through the other company’s staging product. If Stage CMDR decks were used for either of those stages, the fork lift would have been safe to drive on the stage. 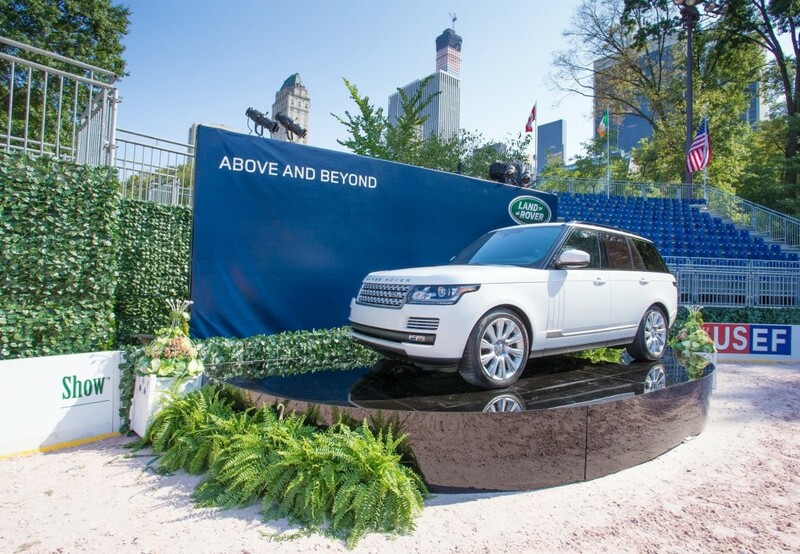 PLEASE NOTE – The 2 stages below were NOT provided by Stage CMDR. The staging product you see in the pictures below, used on both those job sites, are 2 of the most commonly known and used staging products that most other company’s use as their staging rental inventory. These products were NOT designed to support heavy loads and they were NOT designed for stages over pools or specialty staging projects.